In 1969, two substance-abusing, unemployed actors retreat to the countryside for a holiday that proves disastrous. Marwood: What happened to your leg? Isaac Parkin: Got a randy bull up there. Gi' me one in t' knee. Marwood's opening voice-over has been redubbed. Marwood's speech about his thumbs having gone weird has been cut. The scene thus goes from the line "I don't feel good" to "Look at my tongue". 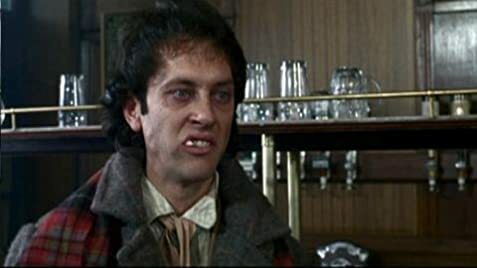 Withnail's "I'm gonna pull your head off" has been cut. Danny's anecdote about The Coalman has been cut. Some dialogue concerning Withnail's current work and Marwood also being a thespian has been cut out of the scene at Monty's home. The scene of Marwood slipping in the mud and then angrily persuading Withnail to have another look at the shed has been cut. The first part of Withnail and Marwood's conversation with the major, concerning Withnail having been in the Territorials, has been cut. The scene in this version simply dissolves from Withnail and Marwood walking to the pub with Marwood's voice-over to the major bringing up the subject of Jake. Marwood's line about why Withnail lied to the major has understandably also been cut. The word Saveloy has been redubbed to Sausage. 1969 Published by Chappell Music Ltd. Original Sound Recording made by Polydor Records Ltd. 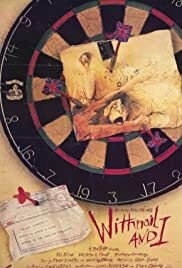 Strange to believe that WITHNAIL AND I , a film that is regarded as today one of the best British comedies ever made flopped spectacularly on its initial release in 1987 and maybe it's not too easy to see why . In the late 1980s the British film industry was in an absolute mire and the very phrase itself " British film " made a homegrown audience roll its eyes and think of art-house crap directed by Derek Jarman or Peter Greenaway . Any British film no matter the genre or how good it was always got tarred with the same brush in those days . 54 of 65 people found this review helpful. Was this review helpful to you?